Saturday, July 5, 2014 • 9 a.m.-1 p.m. If you teach voice pedagogy or related courses, this will be a workshop you do not want to miss! It is one thing to have the knowledge and be a good voice teacher, but what about teaching the next generation how to teach voice? Want to engage young minds with your passion for voice science and its practical application? Need to re-imagine your pedagogy course(s)? How can you make the case for more courses related to voice science in your degree programs? What about undergraduate versus graduate level courses? Need syllabus ideas? Join Stephen Austin as he leads participants through the process of discovering best practices in the teaching of voice pedagogy. 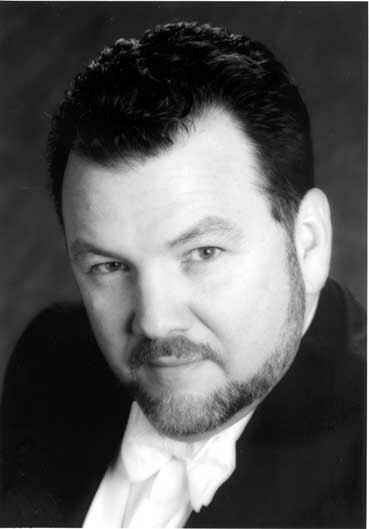 Stephen F. Austin is associate professor of voice and vocal pedagogy and chair of the Division of Vocal Studies at the University of North Texas College of Music in Denton, Texas. After receiving a masters degree in vocal performance at the University of North Texas, Austin went on to complete the Ph.D. in Voice Science in the Department of Speech Pathology and Audiology at the University of Iowa under the direction of Dr. Ingo Titze. Austin is an active author, performer, lecturer, and continues to conduct research in the area of articulatory behavior in classically trained singers. He has presented recitals, lectures, and workshops across the country, is a frequent guest in Australia and has presented to international audiences around Europe. He is regularly featured on the faculty of the Annual Symposium: Care of the Professional Voice sponsored by the Voice Foundation every June in Philadelphia. He has made presentations to the national conventions of the American Speech and Hearing Association, the Music Teachers National Association and the National Association of Teachers of Singing (NATS). Austin’s articles on applied vocal pedagogy have been published in Australian Voice, the journal of the Australian National Association of Teachers of Singing and in Journal of Singing. His scientific contributions have been published in the Journal of Voice. Austin teaches three different pedagogy classes at UNT, one at the undergraduate level and two graduate courses that form the core for a related field in pedagogy at both the masters and doctoral levels. He has been teaching voice pedagogy at the university level for almost 25 years. He is a regular contributing author to Journal of Singing in his column, "Provenance," a look at important historical sources and their continuing influence on pedagogical practice. Austin has students singing leading roles in professional opera houses in Germany and the United States and is especially proud to have many former singers and choral directors who completed their related field study in voice pedagogy under his guidance who hold academic appointments throughout the U.S.